Learning about what we put on our hair is one of the best ways to ensure we keep our hair healthy. While eating right, getting enough sleep, and staying hydrated are high on the list of maintaining strong strands, we cannot overlook what we put into our hair as an important factor. Learning about ingredients makes exploring products ten times easier. No one says you need to be a chemist, so we are happy to share what some of these terms mean, especially the ones in front of ingredients we are familiar with. You may see words like hydrogenated, hydrolyzed, and PEG in front of ingredients and it is vital we know what these words mean. Hydrogenation is simply adding hydrogen to something. This is often done to make the product less susceptible to oxidation and spoilage and slow water loss from skin and scalp and form a barrier on the skin. Hydrogenated vegetable oil is a skin-conditioning agent or emollient. Hydrogenated castor oil (also known as castor wax) helps soften hair and acts as a stabilizing agent. Hydrolyzed may be a word we are more familiar with since we discuss protein treatments and leave-in conditioners and their ingredients regularly. To hydrolyze is to break down the compound by chemical reaction and water. When discussing hydrolyzed wheat protein, the low molecular weight of the broken down protein allows it to be easily absorbed by or to penetrate the hair shaft. This is why we now know mayo and eggs are not effective as protein treatments for our hair, because the proteins in those ingredients are too big to attach to the hair shaft. Popular hydrolyzed proteins in hair products include hydrolyzed silk proteins, wheat, collagen, keratin, milk, and even soy. According to Tonya McKay, a curly-haired polymer scientist and cosmetic chemist, propylene glycol (also known as 1, 2 propanediol) is a relatively small molecule with two alcohol (hydroxyl) groups (-OH). It is a colorless, odorless liquid that is completely water-soluble. PEGs in hair products are effective humectants and can be used as surfactants and a preservative. One of the great properties about PEGs is that they will not cause buildup because they are water-soluble. You may see these in front of silicones, which means you get the slip and conditioning without the buildup. Hydrogenation allows ingredients and natural oils to last longer while maintaining effectiveness. Hydrolysis matters because without it the very proteins we need to strengthen the hair shaft need to be broken down to penetrate it. PEGs are water-soluble humectants that are excellent ingredients for our thirsty curls. 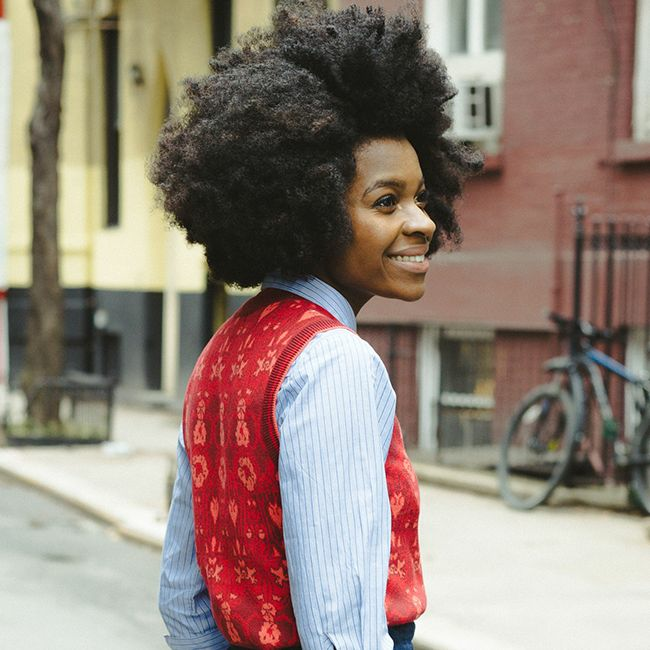 Follow Freddie Harrel (pictured above) on Instagram and Facebook.